FRESNO, Calif. (KFSN) -- A 51-year-old man, who ran a red light at Cedar and Nees in Northeast Fresno, was killed after he ran into the side of a car, according to police. 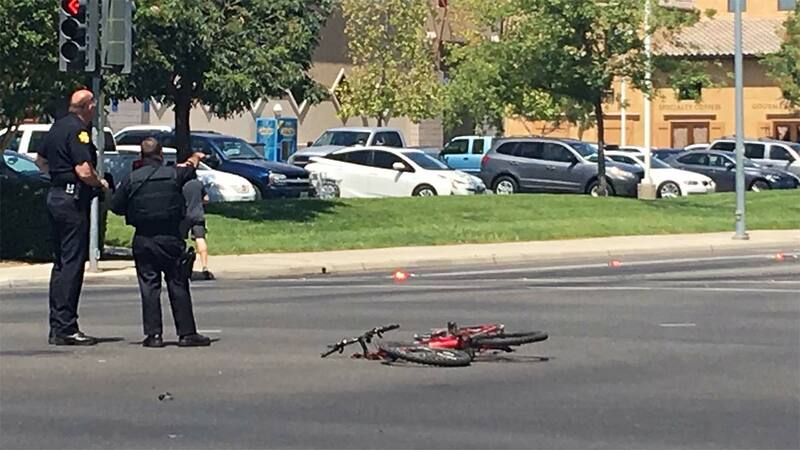 The impact of the crash caused the bike rider to be thrown about 40 feet. Cedar and Nees is closed in both directions while authorities investigate.